It is October, and most cell biologists around the world are looking forward to the ASCB|EMBO meeting in San Diego! 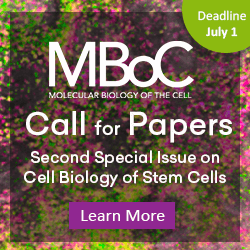 The very best of cell biology and career development will be there, waiting for us. However, there are plenty of other STEM conferences that are oriented not by the study/research topic, but by the goal of bringing scientists together on different terms, such as inclusiveness, science policy, and education. Attendees still present their research but the learning experience can be different, in a positive way. These are meetings where people get career advice, network with fellow community/minority members, and learn how to be better science communicators. Also, these meetings host lots of recruitment activities for undergraduates, graduate students, postdocs, and even faculty. In addition, industry is heavily present, making for a great opportunity to hear about how different (or similar) academia and industry are, and whether an industry career path might suit you. A few examples of these conferences are: American Association for the Advancement of Science (AAAS), Society for Advancement of Chicanos and Native Americans in Science (SACNAS), Annual Biomedical Research Conference for Minority Students (ABRCMS), Out in STEM Conference (oSTEM), Out to Innovate Summit (NOGLSTP), National Postdoctoral Association (NPA) Annual Conference, and ComSciCon Workshops (see Related Links below). These meetings can be very different in terms of size, duration, attendee age/career stage, and of course topic! Be ready to meet people who study ecology, marine biology, engineering, inorganic chemistry, computational science, sociology, physics, and other fields. Some of these conferences will have poster and/or oral presentation sessions, divided by more general topics (e.g., oral presentations on the topic “biochemistry”) than the ones we see in meetings like ASCB, and by career stage (undergraduates, graduate students, postdoc). Thus, if you are planning to present your work, make sure the amount of information in your talk/poster is appropriate for the audience. Also, be open to going to posters/talks not directly related to your work! It is a great opportunity to learn different things and to network. The “classic” scientific societies usually host events inside these conferences, as a way to stimulate networking among peers. There also tend to be numerous career discussion panels on diverse topics. Keynote speakers can include politicians, astronauts, professional photographers, or poets. They are usually very inspirational talks. By the way, inspirational is a great way to define these conferences. You meet role models in STEM who offer valuable advice.. For an underrepresented minority in STEM, for instance, attending a conference with thousands of similar people is inspirational by itself. Listening to successful stories, receiving feedback from peers, and meeting fellow students can also inspire attendees to be better, more inclusive scientists and to help each other. It is a great opportunity to ask people about issues you may encounter in your field. Some of these conferences will have workshops and hackathons, which are great hands-on experiences. Personally, I have attended several minority/inclusion conferences, participated in panels and receptions, and volunteered as a judge. By the end of these conferences, I leave energized, inspired by the examples of young and senior attendees. I feel that I’m not alone and I notice that important people before me that paved the way to my current path, and people coming after me are still working toward the same objective of inclusiveness. It is fascinating how important these conferences are for recruiting purposes. Universities, research agencies, government agencies, and a myriad of private companies, from biotech to information technology, all staff booths/rooms with representatives looking forward to showing attendees their portfolio and recruiting recently graduated students to graduate school or their companies. It is also possible to find postdoctoral opportunities at these conferences. Recruiters attend the oral and poster sessions, ask questions, and sometimes conduct interviews at the conference itself. So, if you are looking for the next step of your career, bring your business card (yes, even a grad student can have a business card) and your CV or resume, depending on the type of opportunity you are looking for. Pay special attention if you are a grad student or a postdoc planning to work in a career not directly related to research: these conferences are VERY important to attend! The reason is simple: you probably will meet people who have the type of jobs you want. Academic deans, diversity officers, science writers, program coordinators, and NGO organizers are common attendees at these type of events. Funding may be available to help you attend these conferences. These vary from lab to lab/university, but most universities have career development programs/diversity programs with potential funding to send students/postdocs to these events. It doesn’t hurt to ask! These conferences commonly offer travel awards/support as well. Also, talk to your mentor/PI about attending these conferences ahead of time, and make the point about how important it is for you to attend. Also remind them that you still can present your work and showcase your amazing science! Ultimately, attending these conferences 1) expands your horizons to different disciplines of scientific knowledge, 2) exposes you to a group of people who can make you feel recognized and supported, 3) gives you knowledge in topics not commonly showcased in regular science conferences, and 4) provides a great opportunity for networking and searching for jobs. 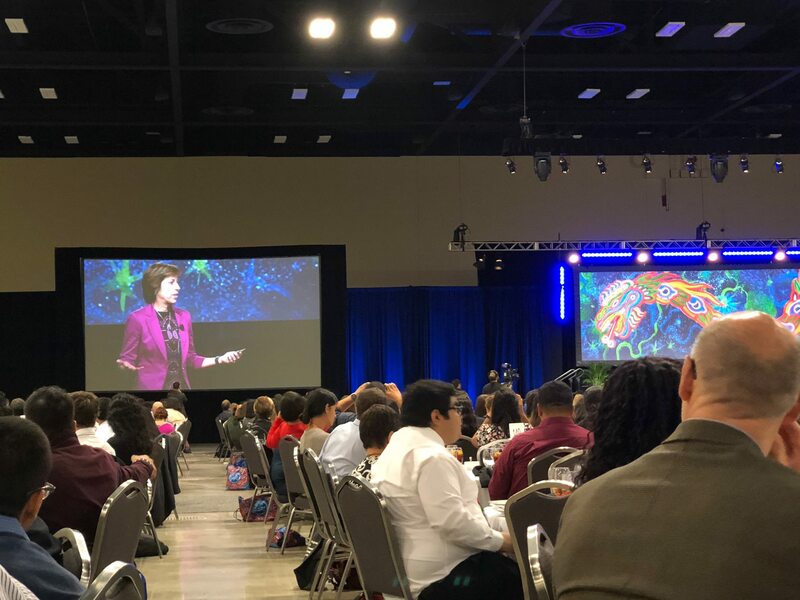 I am looking forward to being in San Antonio this week for SACNAS, and will return to work later with my energy and inspiration levels recharged for one more year of cool science!